How Do You Do A Lucky 15 On Unibet? 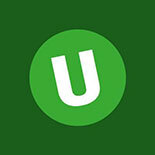 Home » Lucky 15 » How Do You Do A Lucky 15 On Unibet? Are you ready to make your bets more exciting and potentially more profitable? Let us introduce you to the Lucky 15. A Lucky 15 is a multiple bet which takes four odds and turns them into 15 separate bets. Those bets are four different singles, six different doubles, four trebles and one accumulator – so 15 in total, hence the name. You don’t need to be a betting veteran to place a Lucky 15 at Unibet, simply follow these instructions and you could be in with a chance to win some big money on your next round of bets. With the sporting menu find your chosen event. Add your chosen bet to the slip by clicking the odds. Continue to do so until four bets are added to slip. Getting Yourself An Account First..
To place a Lucky 15 at Unibet you will need to create an online account. This only takes a couple of minutes and there’s a £30 risk free bet to claim if you’re new to the site. Follow the link to reach the homepage of Unibet. Once loaded you will might see a banner across the top of the page reading “welcome to Unibet”, if you click on this banner it will take to straight to the registration page. Alternatively, you will find a yellow box with the word “Register” in the top right hand corner of the screen. Full Guide: How do I place a Lucky 15 on Unibet? Placing a Lucky 15 on Unibet is slightly different to other betting sites as you have to do it manually. This doesn’t mean that it’s a complicated process, however. Just remember that you only need to select four odds, and that a Lucky 15 is comprised of four singles, six doubles, four trebles and one fourfold. First up you need to log into your account – click here to do this. The first step is to browse the many different sports which Unibet offers. To do this you must click on the “Sports” tab which can be found on the leftmost side of the menu which lies horizontally across the page. Clicking this tab will take you to a page with popular live and upcoming bets. You can also find a whole selection of different sports, leagues and competitions in the menus down the left hand side of the page. You can choose anything from athletics to wintersports. In this example we will select Premier League from the “Shortcuts” menu. The second step is to choose your four odds. It is important that you DO NOT select two odds from the same fixture. Even if the two odds don’t directly contradict each other, you will not have the option to combine these odds in the correct way to make a Lucky 15. Useful hint – you can remove a selection by pressing the “X” next to each bet in the betslip. If you want to remove all you selections and start again from scratch, simply press “Clear all”. By this stage you should have four odds listed in your Betslip. Now you have to manually combine these odds to make a Lucky 15. To do this you have to select the “Systems” tab which is one of three options along with “Single” and “Combination” just above your chosen odds. Once you have selected this tab a number of different combination options will appear beneath your four odds. They should be “4 Singles”, “6 Doubles”, “4 Trebles” and “1 Fourfold”. If you see these options then you are on the right track. If not then you either haven’t selected four odds, or you have chosen two odds from the same fixture. If you are seeing the correct options then you simply have to enter the amount of money you want to bet per round of combinations. The amount to enter in to each box will be multiplied by the appropriate number – for example, if you enter £1 into the box for “4 Singles”, it will actually amount to £4 in total for that combination. Do this for each box and you will be able to see the “Total stake” calculated below along with the “Potential winnings”. A good way to make sure that you have correctly created a Lucky 15 on Unibet is to enter the same amount into each box – this way you will easily be able to work out from the total stake that you have placed 15 bets in total. For example, place £1 in each of the four boxes and the total stake will be £15. If you are satisfied with your choices and total stake, all you have left to do is press the big red button – “Place bet”. Now you can sit back, relax and hope that the results go your way! Congrats, you now know how to place a Lucky 15 at Unibet. Now get on with it and starting winning some coin! Note: Remember to claim your £30 welcome offer by clicking here if you’re new to Unibet.